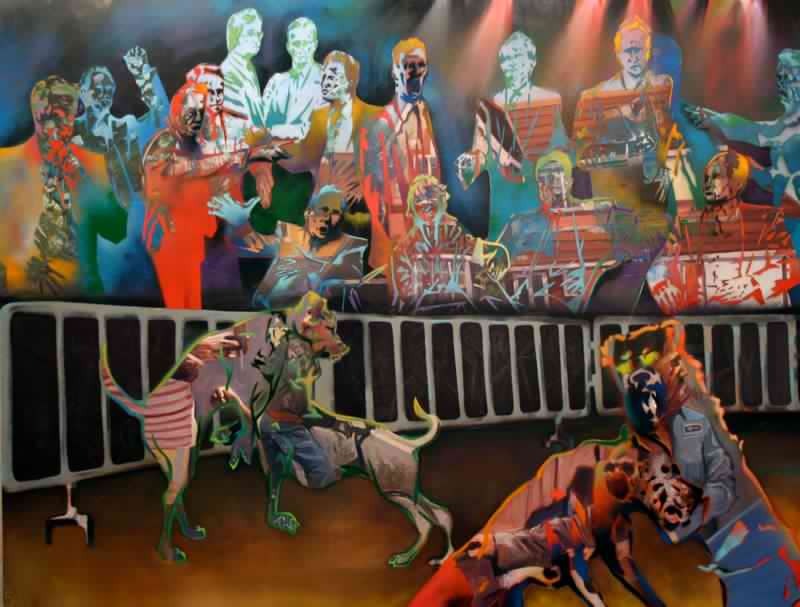 Currently on exhibit in the Lillian Davis Hogan Gallery in the Toner Student Center is a show featuring work by painter Andrew Rieder, entitled "These Things Happen". 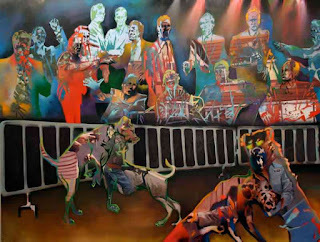 Rieder's colorful and powerful paintings, including this work, "It’s All Fun & Games Until It’s At Your Expense", will be on view until November 13, 2011. The gallery is open daily from 9:00 am until 8:00 pm, and is free and open to the public. The current and upcoming show schedule for the gallery is as follows. Senior Show featuring the work of Brianna Nelson, Sarah Kraft, Danielle Cossetta, and Charlie Williams. Please join us as we feature a range of work from students, faculty, and artists from the greater region.